Meet the crowd fav zip jacket! The new crowd favorite! This Zip Jacket is the perfect mix of style and function. Fit designed with curved back yoke and darts style and shape. 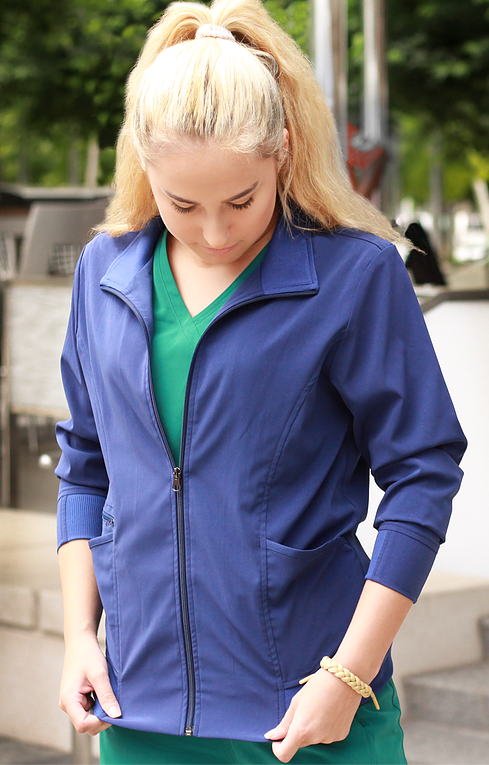 All the comfort and style of your workout zippie, with all the benefits and features for a functional professional scrub jacket.